When Spain was a great sailing nation growing wealthy from ships returning from the New World, The Arenal’s ports where extremely busy. 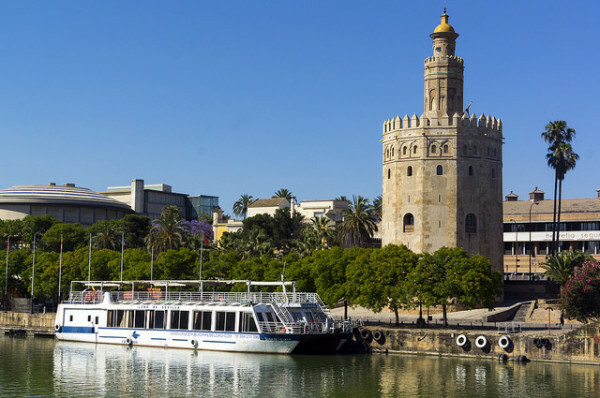 Now sections of the docks are a museum to their heyday - don’t miss the Reales Atarazanas, the 14th century Royal Shipyards to cultural centre conversion - but today instead of sailors you’ll find chefs making tapas and baristas making coffee. And all of our Guru’s recommendations for the best hotels in The Arenal area have great roof terraces for watching all of this go on. And for appreciating the spontaneous flamenco this area is also known for. The Torre del Oro is the name of the Moorish built tower which overlooks the river and The Arenal area, and it’s definitely worth a look inside. As is The Arenal’s bullring. the Plaza de Toros de la Maestranza - probably the most famous in Seville, and probably because of its appearance in the story of Carmen, who looks on in bronze stature form from across the street. Seville’s old city walls passed through here, and the Postage de Aceite, a gate in the ruins, is also worth a visit. 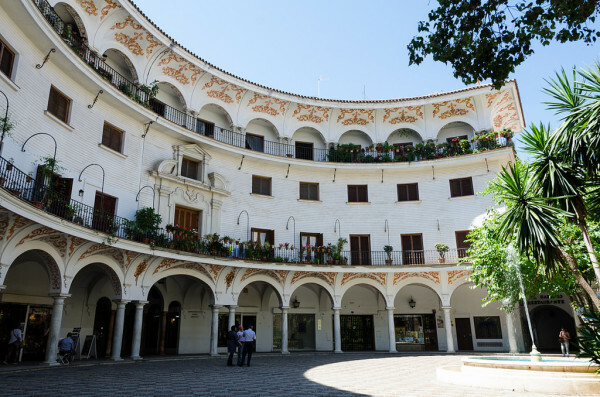 As is the Hospital de la Caridad, a wonderful Baroque building with a fascinating history and a famous series of paintings depicting the virtue of good works and charity. 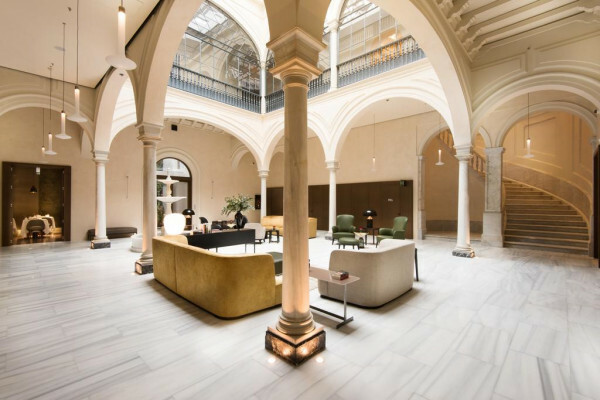 Mercer Sevilla is a boutique property in a great central location with interiors architects and design lovers will appreciate. Elegant, well-lit common spaces lead into 12 carefully decorated rooms and up to the stunning rooftop. Or you could consider our Guru’s collection of the 7 Best Hotels in Santa Cruz? 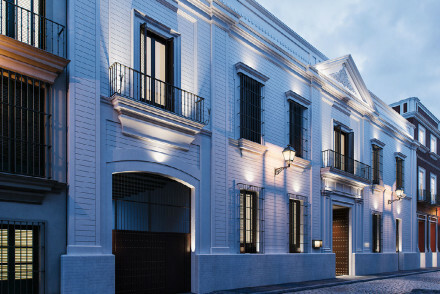 or the 4 Best Hotels in Centro Seville?